From left: UKFast CEO Lawrence Jones MBE, Cllr. Carl Ollerhead, and MCC's CIO Bob Brown inside the new hosting facility. 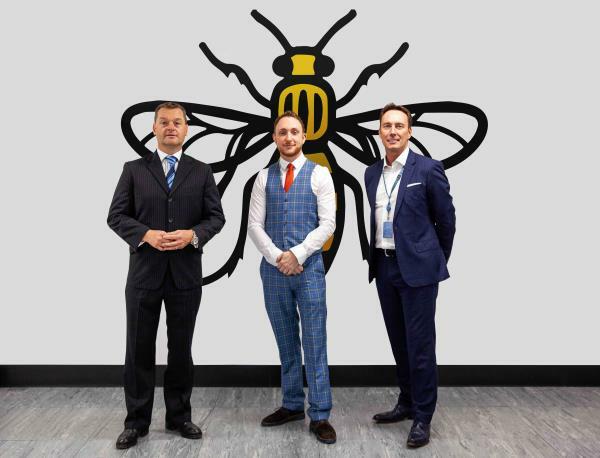 Manchester City Council (MCC) has awarded a long-term colocation contract to UKFast as part of a major upgrade to its ICT facilities. The company will host the council’s servers across two separate sites, including two new data centre facilities that it is especially creating. Cllr Carl Ollerhead, MCC’s executive member for finance and human resources, says UKFast can offer "state-of-the art, highly secure" data storage using industry-leading technology that the council could not deliver on its own. UKFast CEO Lawrence Jones says winning the contract inspired the firm to build an entirely new facility. As well as offering increased resilience, he says this will be specialised for government hosting and machine learning. The migration of all of MCC’s existing servers to UKFast-owned facilities is expected to begin soon, with completion of the project due by October 2019. According to UKFast, its focus on the community also played a key part in securing the deal. The company works with more than 60,000 children and young people across more than 50 schools and universities in the region. As part of the package, it has committed to contributing 2.5 per cent of the contract’s value back into the council’s social value fund. This is made up of contributions from MCC’s partners and supply chain. Through work experience and apprenticeship opportunities, the fund aims to help local people to improve skills and job prospects. Ollerhead says: “A key factor for choosing UKFast was their commitment to the city, including a promise to engage local schools to unlock training programmes to empower the next generation.